Two pack of our most popular SLA replacement batteries with 1 LiFePO4 charger included. Replaces UB1280 and many other applications. Built Dakota tough and crafted out of Lithium Iron Phosphate (LiFePo4) technology this is a battery will last up to 5 times longer than your typical SLA battery while providing twice the power at half the weight. Rated at 7 amps, this is our smallest and lightest battery. 14 ampere hours (Each battery is 7ah). 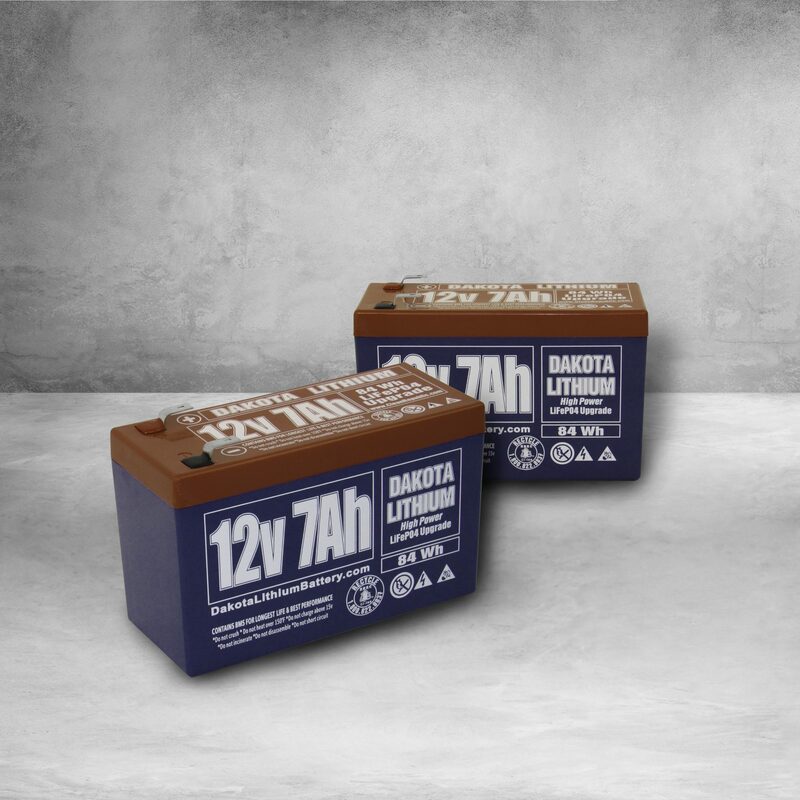 Dakota Lithium batteries provide consistent power for all 14 amp hours. DL LiFePO4 batteries have a flat voltage curve, which means they have a steady power output as the battery discharges. The power output will not dramatically drop like similar sized SLA batteries. You get all the juice down to the last drop.